At the start of the Ashes series in 2017 the Autralian bowling line-up was being touted as the best Australia’s ever had. Last year’s Ashes series was a complete performance from Australia’s bowling unit. All four had taken 20 wickets in the series and Australia, with the help of Steve Smith and Shaun Marsh, who both made plenty of runs, won the home series 4-0 against the touring English team. However, ever since South Africa came back from a hiding in Durban to win the Test series 3-1, Australia’s bowlers have not been able to carry a batting unit that has struggled. So are they really as good as it’s being made out they are? Let’s compare them to the fast bowlers who are touring. Jasprit Bumrah, Ishant Sharma and Mohammed Shami have out-bowled Australia. 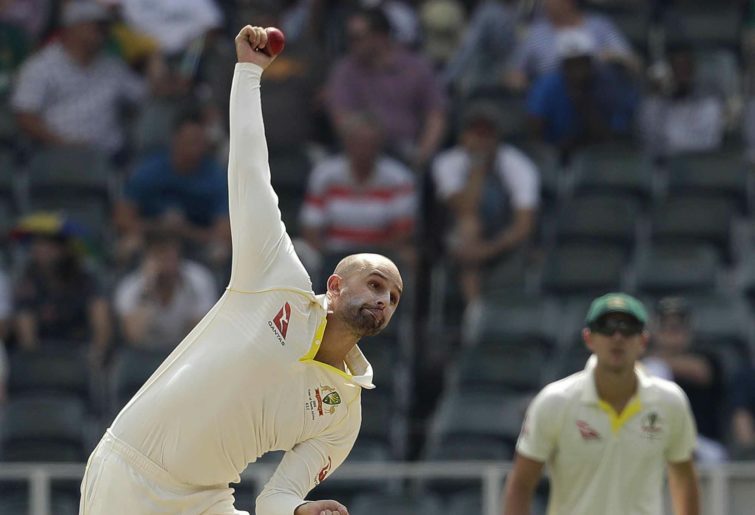 Only Nathan Lyon could hold claims to having out-bowled his opposition spinner, and now he looks tired from the number of overs he’s bowled to date this summer. At the moment no Indian paceman is averaging over 26 with the ball, while no Australian pacemean is averaging under 25. At the moment a series in Australia is seeing the home team’s bowlers being dominated by a country known more for their spinners than their fast men. A concern for the Australian bowlers is on the super slow motion replays. The Indian bowlers have the ball coming out with the seam in a beautiful position. In comparison, Mitch Starc and Pat Cummins both have a scrambled seam far too often. It’s a worry for Australia, with a tour of England coming up in 2019. However, the problem is here and now, because there is still a series on the line. So if India’s bowlers have got the ball coming out beautifully and the Australians haven’t, let’s find out who their coaches are, because the buck needs to stop somewhere. The Australian bowling coach is former big-hearted Victorian seamer David Saker. Not high enough quality to play for his country but a good Shield bowler, Saker needs to find improvement in his big three pacemen. At the moment there is improvement in them. To be quite frank, with the exception of an inspired spell late on Day 3 in Melbourne from Pat Cummins, all 75 kilograms of Nathan Lyon has carried the big guys this summer. India’s bowling coach is Bharat Arun. If you blinked you would have missed his career, which consisted of only four wickets from two Test matches. He has got India’s attack bowling nicely, though. The ball was moving throughout both Australia’s innings in Melbourne, which came after Australia bowled close to 170 overs of straight balls in India’s first innings. Despite the struggles of Australia’s fast bowlers, Cheteshwar Pujara has been the star of the series for India. After tours to South Africa and England, where Virat Kohli carried an underperforming batting unit, Pujara has stood tall. Pujara is closing in on a 500-run series and has led from the front since the opening day in Adelaide. His innings in Adelaide was the defining moment of the series to date. He may have just about laid the platform for India to complete their first series win down under. Wtih Mayank Agarwal getting his Test career off to a fine start with a couple of 50s, India have found their men to take the heat off Virat Kohli, something they badly needed in this series.